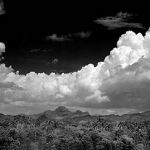 Clyde was invited to photograph the mountains of Cuba for the United Nations Conference for the Sustainable habitat of the Mountains. The United Nations declared the year 2002 as the year of the mountains. Environmental conferences were held throughout the world. 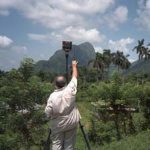 The Conference of the Mountains for the Caribbean region was held in Cuba. Clyde was invited by Luis Bomez-Echeverri, U.N. Ambassador to Cuba and Parke Wright III. “It is my hope that these photographs open to the world unseen beauty that lies just 90 miles to the south of Florida.” Butcher said.